Welcome to CHA's world of educational travel. 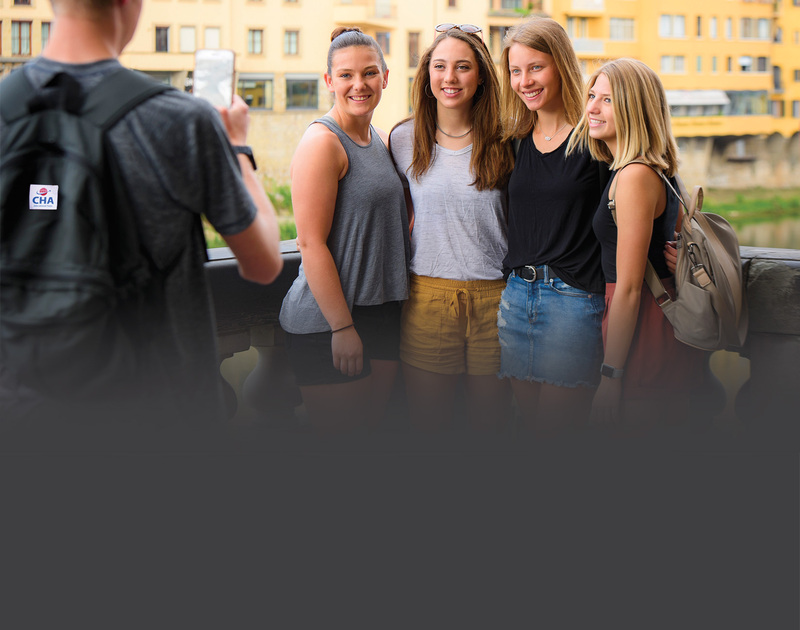 Whether you're an educator looking to enhance your classroom curriculum or a student who wants to learn more about the subjects you're studying in school, CHA can provide you with incredible opportunities to explore the world and discover new countries, customs and cultures through our exciting international travel programs. CHA stands for "Cultural Heritage Alliance." We were founded by two dedicated foreign language teachers in 1969. Over the past 50 years, CHA has grown to become one of the largest and most successful companies of its kind in the U.S. and is the oldest American-owned educational tour operator in existence today. Over one million teachers and students from across the U.S. and Canada have toured the world with CHA. CHA's World Headquarters is located in Philadelphia, Pennsylvania in the city's historic center within walking distance from the Liberty Bell and Independence Hall. CHA also owns and operates a network of offices in major cities throughout Europe including our European headquarters in London to handle the numerous operational details of our travel programs. What is a CHA Educational Tour? A CHA educational tour is a "living" classroom. Ideal for foreign language, history or literature students, CHA tours are designed for maximum educational and cultural exposure. Teachers accompany students overseas, assuring a constant connection between the sites visited and subjects studied in the classroom. Along with the teacher, a professional, multi-lingual Tour Director meets travelers at the airport and accompanies them throughout their tour, providing full-time guidance and assistance. Students return home from a CHA tour with a greater perspective on the world, a deeper appreciation of their own cultural heritage, and an increased enthusiasm for learning. CHA arranges tours for teachers and students from across the U.S. and Canada. CHA works with high schools, colleges, and junior high schools as well as special interest groups such as choirs, church groups, sporting teams, and alumnae associations. CHA works directly with the teachers who form travel groups within their school community and who are responsible for chaperoning students while overseas. Learn more about CHA Educational Tours by watching our latest travel video filmed on location overseas. To watch the video now, click here. What's Included on a CHA Tour?